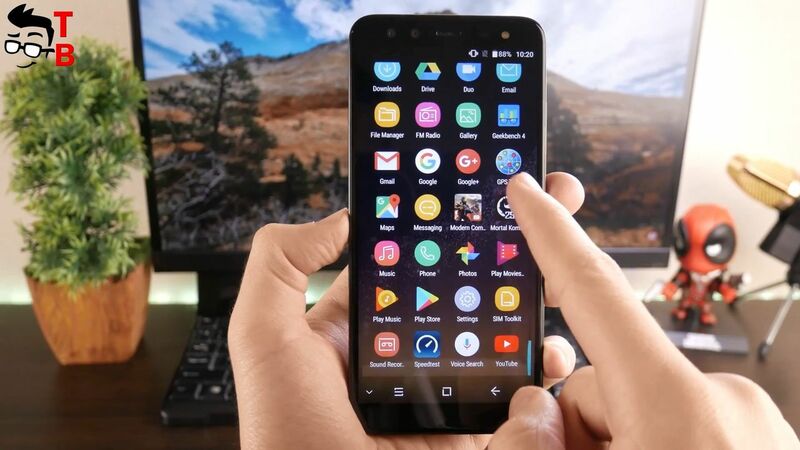 Today bezel-less smartphone is not something new and special. Almost all Chinese manufacturers have already released phones with display on the whole front panel. If the manufacturer wants to interest the buyer, then smartphone should have other features. And now I want to show one of this phones. Blackview S8 has full screen design, four cameras and 4GB / 64GB memory. 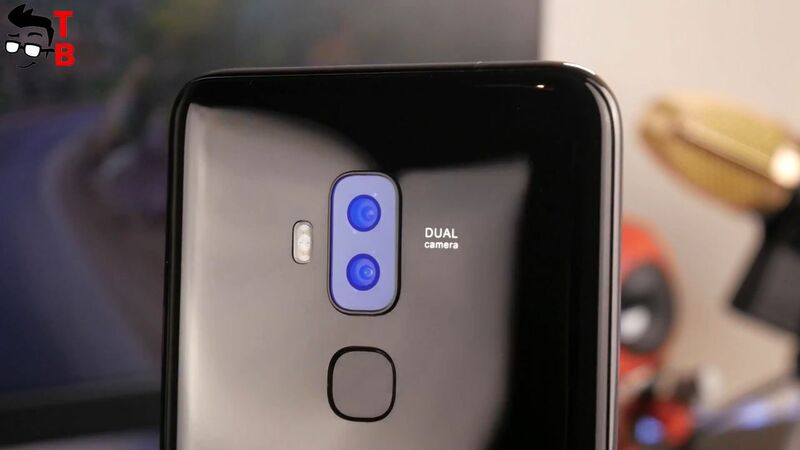 Yes, this is right, the smartphone has four cameras – two at the back and two on the front panel. 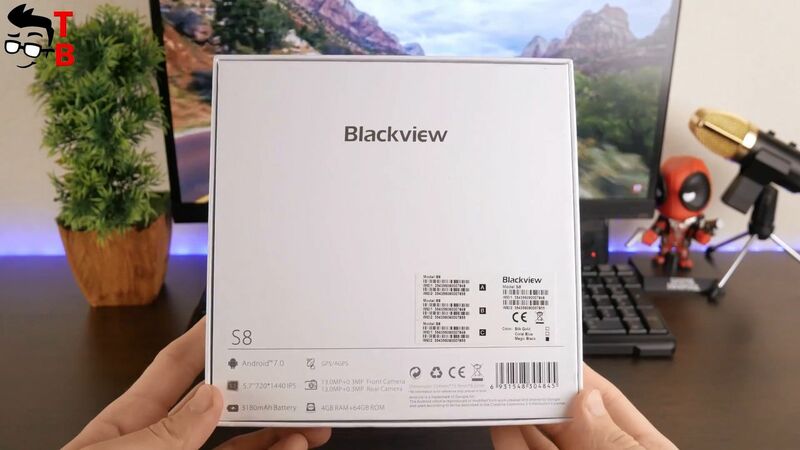 Like many Blackview phones, S8 has good package contents. 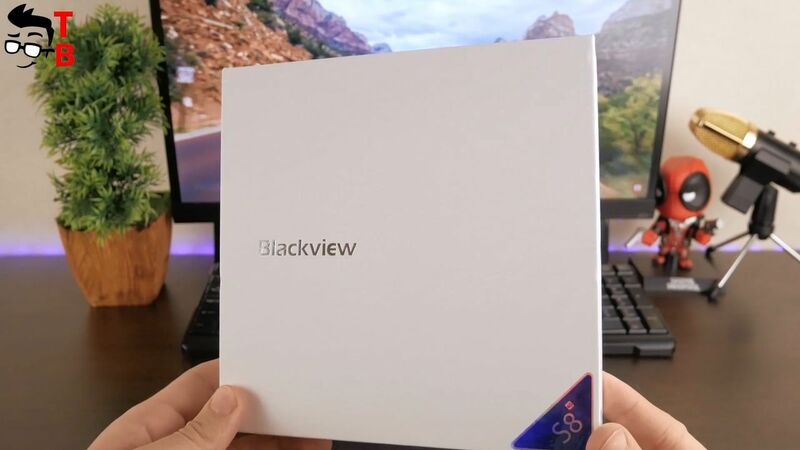 The smartphone comes in a square white box with Blackview logo on the front panel. On the reverse side you can find the main features and specifications. The most interesting inside the box. There is a smartphone with factory film on the screen. I recommend to remove it before using the phone, Also inside the box I found user manual, power adapter, USB cable, earphones, screen ptotector, OTG cable, earphones adapter USB Type-C to 3.5 mm audio jack, phone holder and even silicone case. Wow, it is amazing! 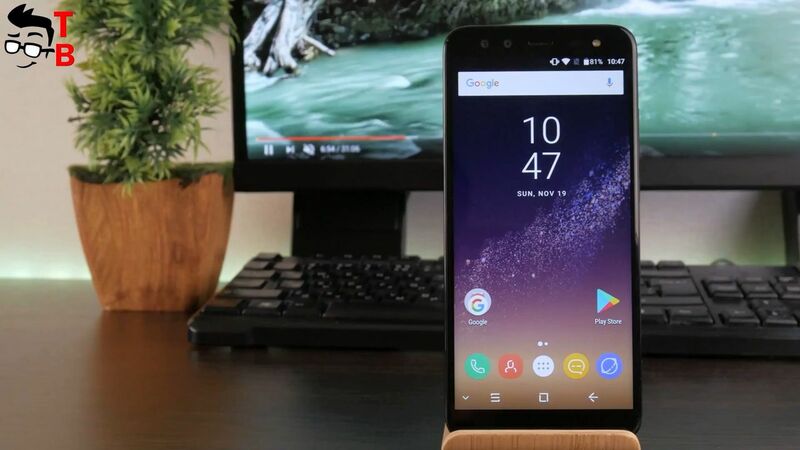 Blackview S8 is a budget smartphone, but there is everything you need to use it, and even more! I really impressed by package contents. 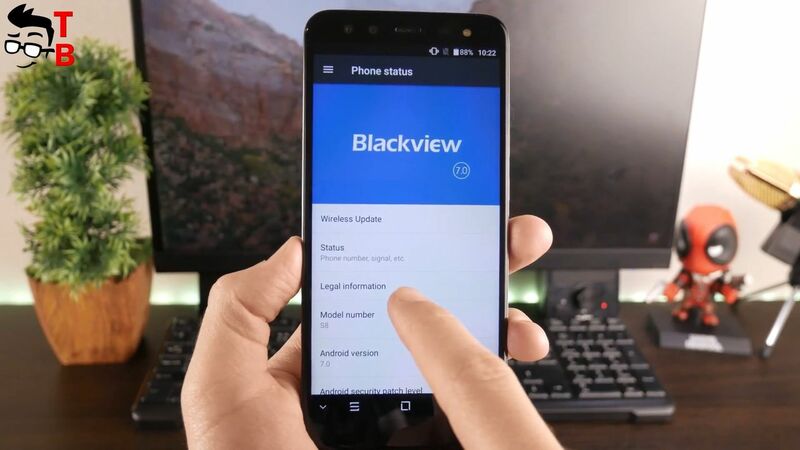 Blackview company cares about its customers. Now, let’s look at smartphone itself. 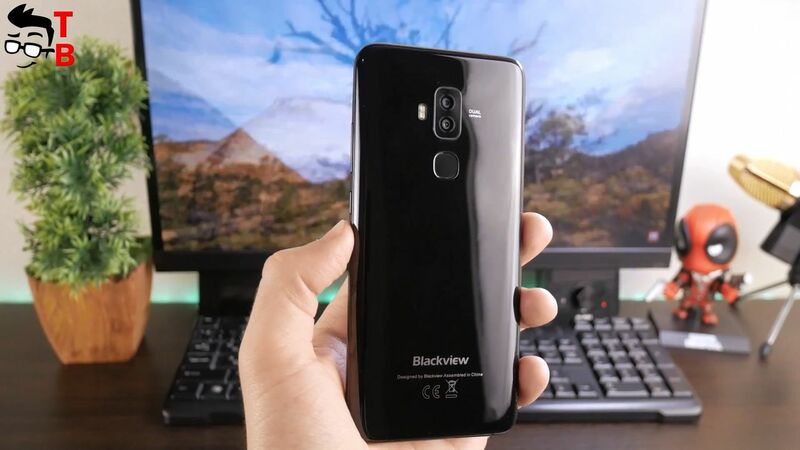 First, Blackview S8 is really beautiful smartphone. It not only has full screen, but also amazing back panel. You may think that back panel is made of glass, but this is not true. It is plastic that looks and feels like glass. 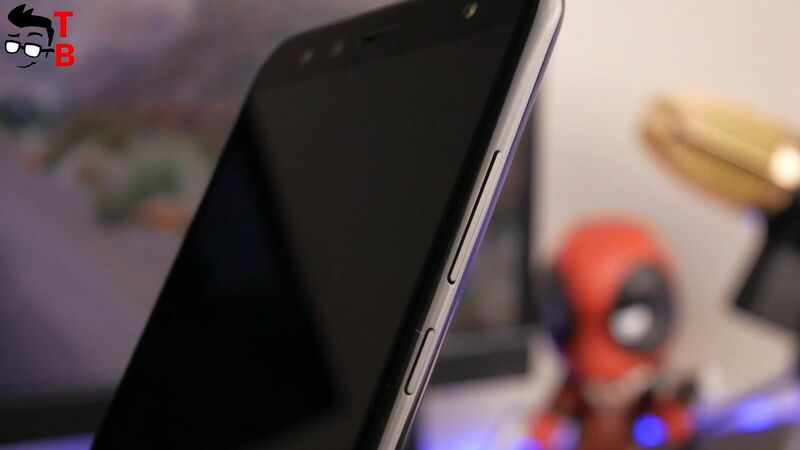 In addition, the smartphone has a metal frame, rounded edges, and thickness of 8.5 mm, making it comfortable to hold in hand. The smartphone comes in three colors: black, blue and gold. There is black color, but I have to notice blue version. On official photos the blue version looks amazing. But this is a matter of taste. The front panel has large 5.7 inch display with 18 to 9 aspect ratio. The display occupies 90.1% of the front panel. 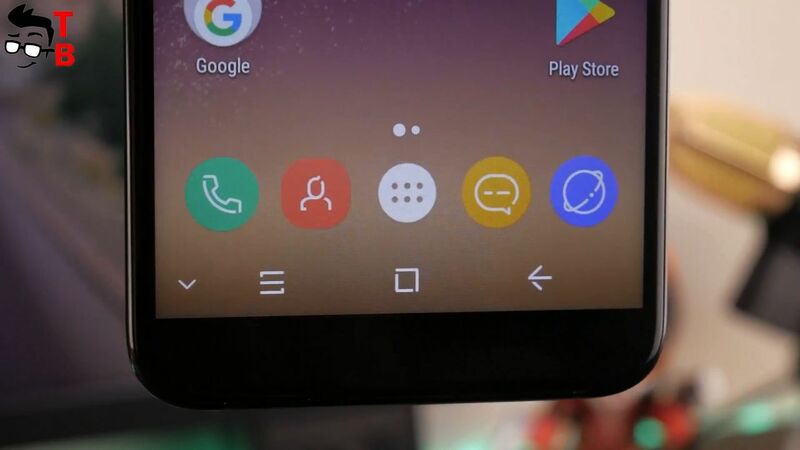 The smartphone uses on-screen navigation buttons, so there is nothing under the display. 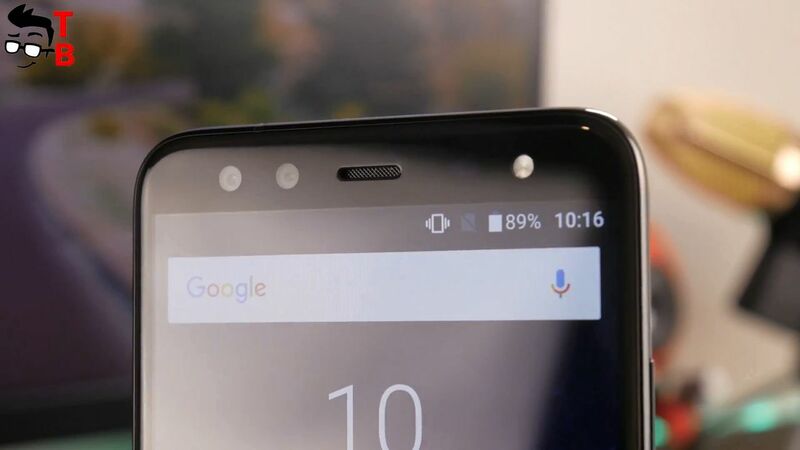 At the top of the screen you will find a dual front camera, flashlight, LED indicator and other sensors. The back panel is very laconic. On top is dual camera, Flashlight and finger reader, and from the bottom you can see company logo. 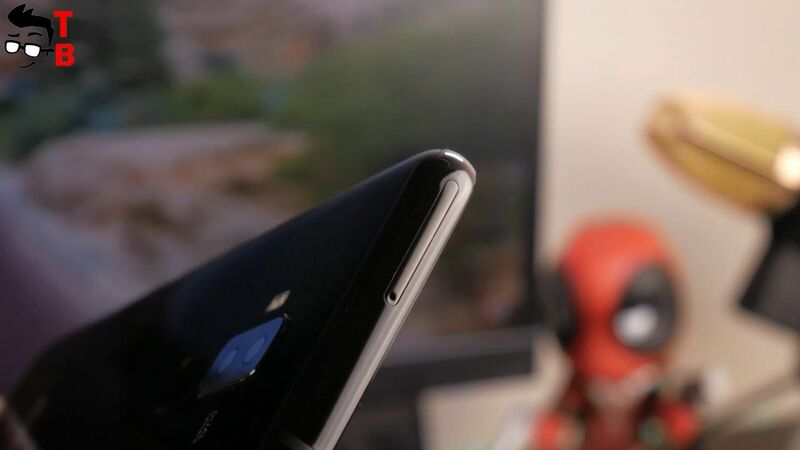 At the bottom of the smartphone is USB Type-C port and speaker grilles. 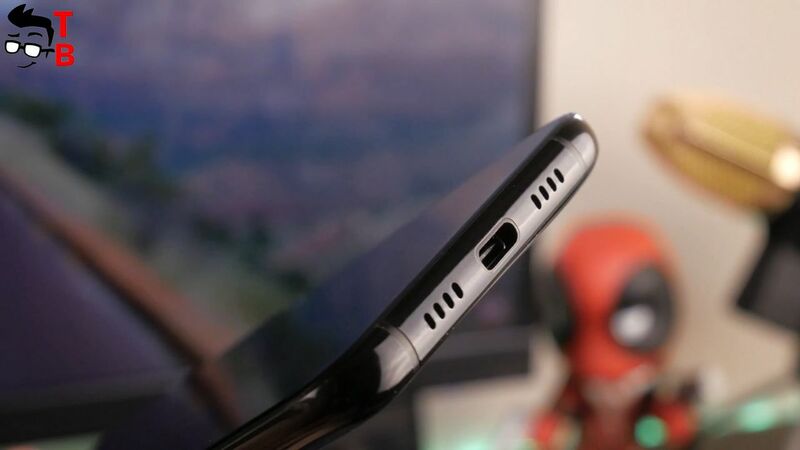 As you can see, Blackview S8 does not have 3.5 mm port, so you need to use USB Type-C to 3.5 mm audio jack adapter to connect the headphones. On the right side you can see three buttons – power and volume control. At the top is a slot for dual SIM card. Design is the main feature of Blackview S8. If you want to attract people’s attention on the street, then this phone is good option. It has a stunning bezel-less display, a rounded body and a smooth back panel. It’s definitely one of the most beautiful bezel-less phones for the last time. Of course, bezel-less phone is interesting for its display. 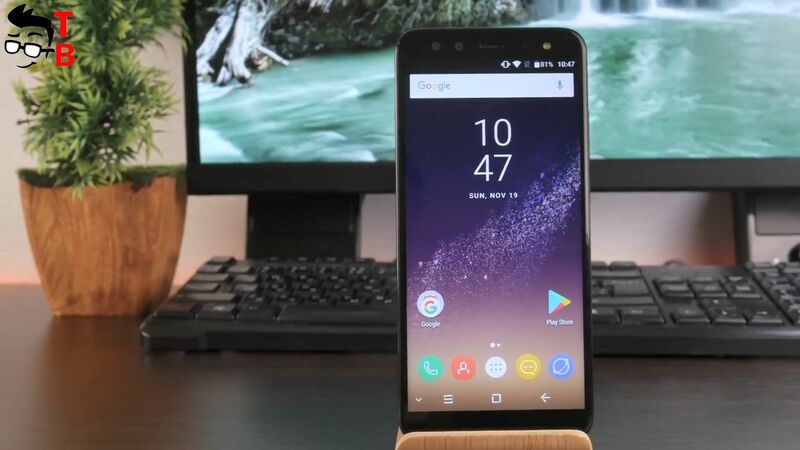 However, unlike flagship devices such as OnePlus 5T, Galaxy S8, iPhone X, budget phones can not offer amazing display. Blackview S8 comes with 5.7 inch display and HD+ resolution, 1440 x 720 pixels. It is 90% screen-to-body ration. Also display has 18 to 9 aspect ratio. It is really good display for its price. The colors are bright and saturated, while the viewing angles are good. The maximum brightness is enough to clearly see the screen in direct sunlight, and also low to comfortably read in the dark. 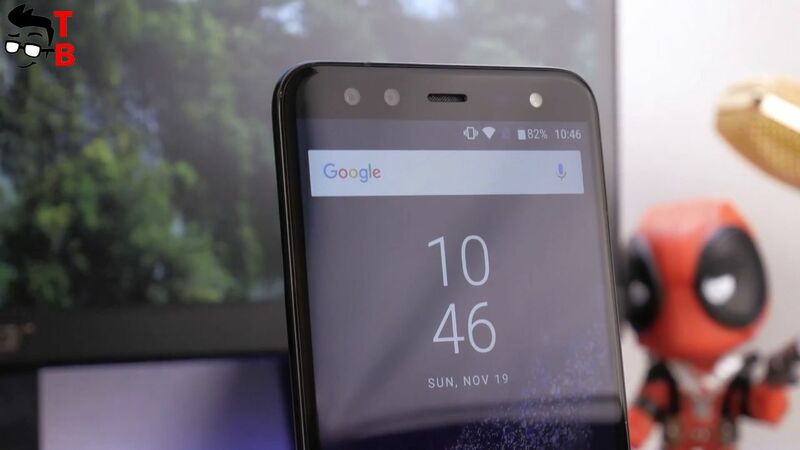 Blackview S8 runs on the latest version Android 7.0 Nougat. You will not find Chinese launcher, applications or settings. It’s stock Android. This is good, because the interface works very quickly and smoothly. Also it’s an international version, so the phone supports different languages. Of course, Play Store and other Google services are available. Interestingly, the manufacturer promises to release Android 8.0 Oreo before the end of the year. This is amazing news! The latest Chinese smartphones have the same hardware, so manufacturers attract the attention of buyers with design. 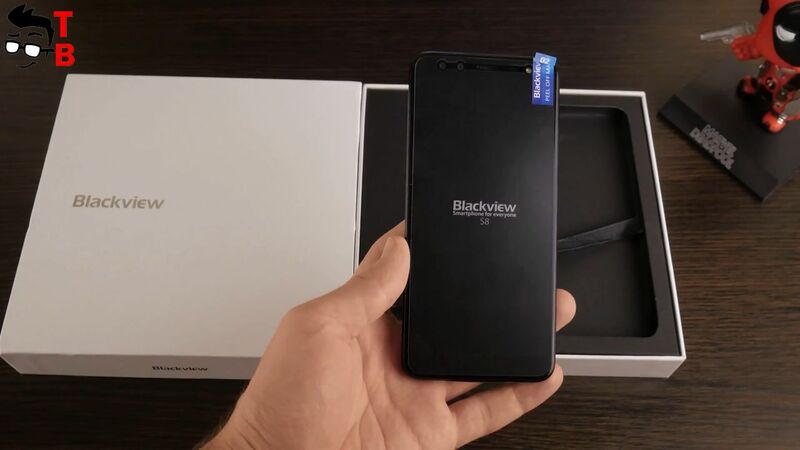 If we are talking about Blackview S8, this smartphone runs on MediaTek MT6750T chipset with clock speed 1.5GHz, as well as 4GB of RAM and 64GB of internal memory. 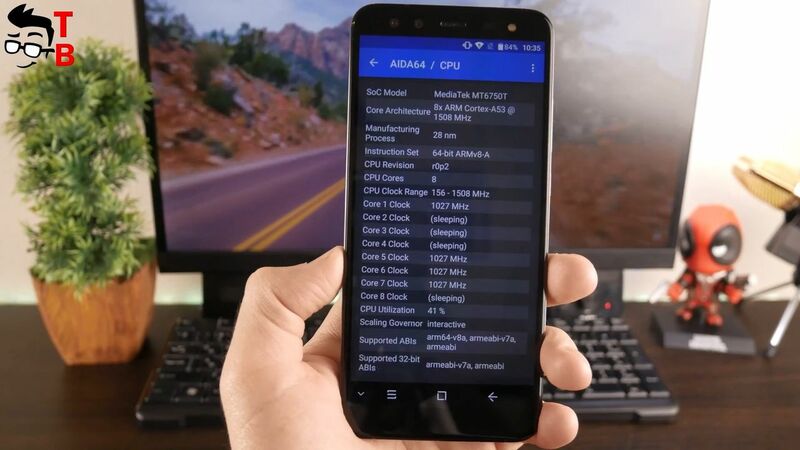 The processor allows you to run any Android applications and games, while 4GB of RAM provides smooth and fast multitasking. I think 64GB of internal memory is enough for most users, but if not – then you can use a memory card up to 128 GB. 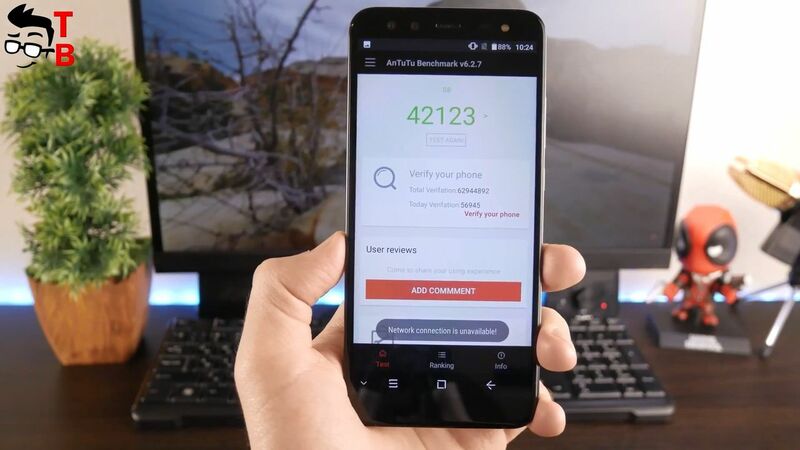 AnTuTu shows that smartphone has about 42000 points. 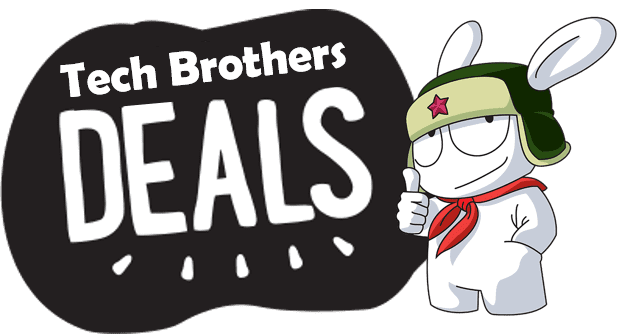 It is a good result for $160 smartphone. If we talk about GeekBench 4, here we see the following numbers: 650 points in single core test, and 2611 points in multi core test. 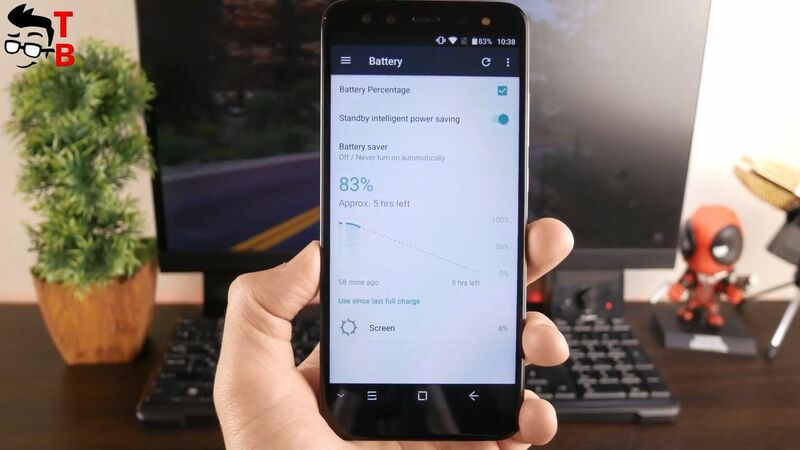 As for the battery of Blackview S8, there is 3180mAh capacity. The manufacturer promises about 17 hours of talk time, 11 hours of web-surfing, about 7 hours of video playing. Also you should know that smartphone is charged via USB Type-C cable. 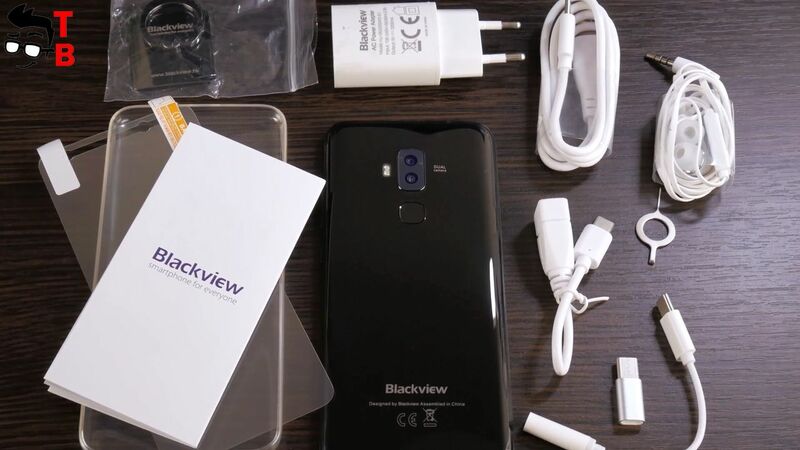 Blackview S8 comes with fours cameras. The smartphone uses the same camera setup on the front and back panels: 13MP plus 0.3MP. I don’t really believe that 0.3MP secondary camera can improve the quality of photos, or provide stunning features. Howevery, first I should take real sample photos and videos and then make final conclusion. Also you need to know about flashlight on the back and front panels. It is really important, because only few smartphones have front flashlight. 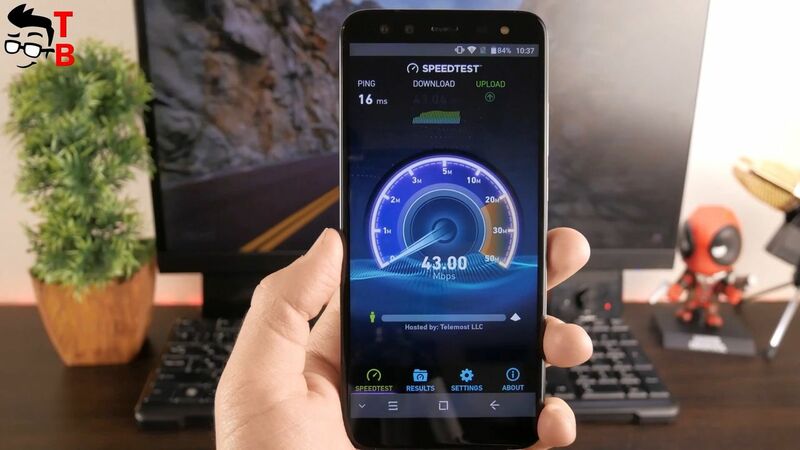 Blackview S8 supports hybrid dual SIM card. It means that you can use two sim cards, or one sim card and microSD memory card. The smartphone works in most popular 2G, 3G and 4G bands. In description under the video you can find supported network bands. Also there are other wireless connections, such as Wi-Fi and Bluetooth 4.0. They work realy good, and I don’t notice any problems with Wi-Fi. Blackview S8 doesn’t have NFC , so you cannot make contactless payments. 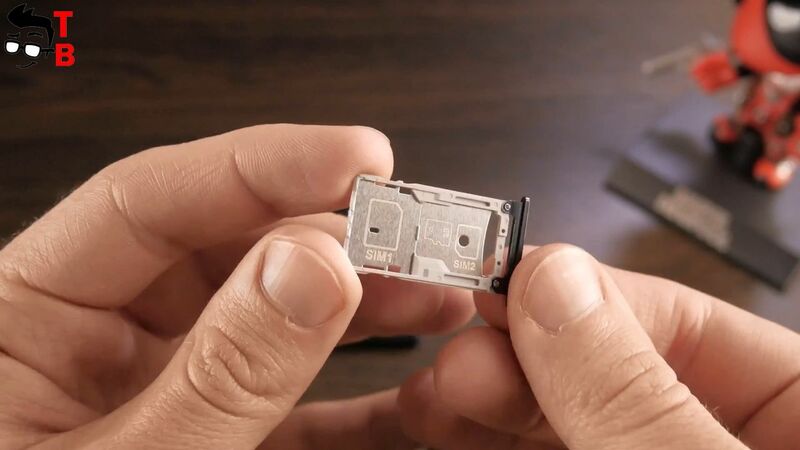 Also smartphone supports USB OTG, so you can connect other peripheral devices, such as USB flash drive, keyboard and others. Blackview S8 is very beautiful smartphone. It comes with bezel-less design and glass-like back panel. 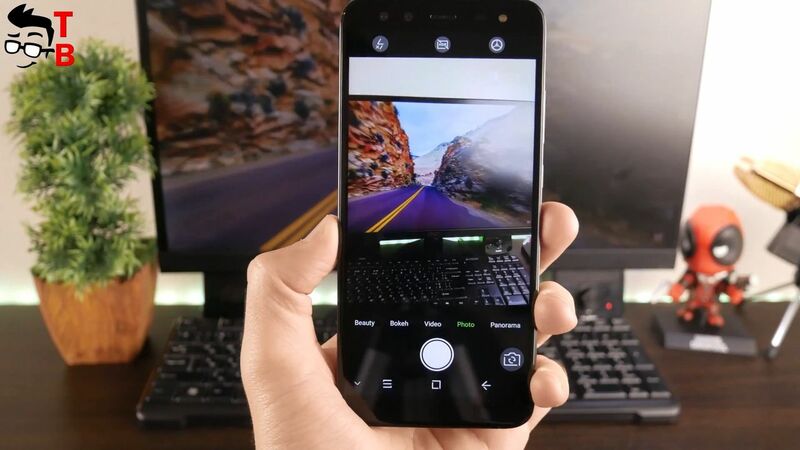 Another features of this phone is four cameras. I cannot tell you about its quality, but I am very excited about dual front camera with flashlight. 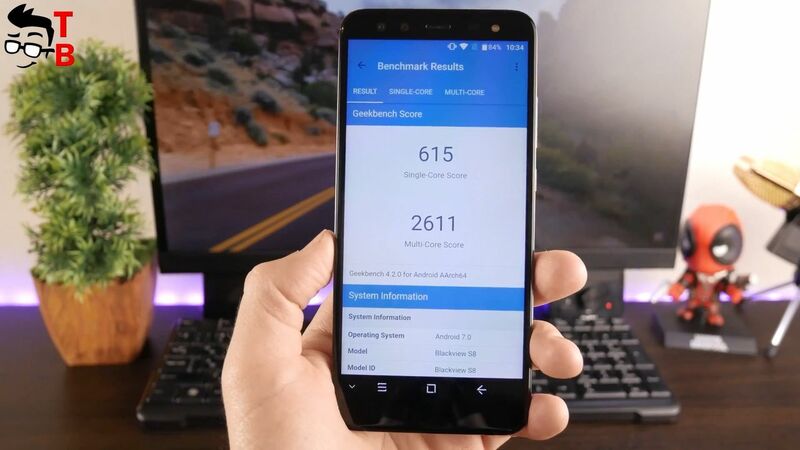 As for performance, it is pretty standard for all Chinese phones. 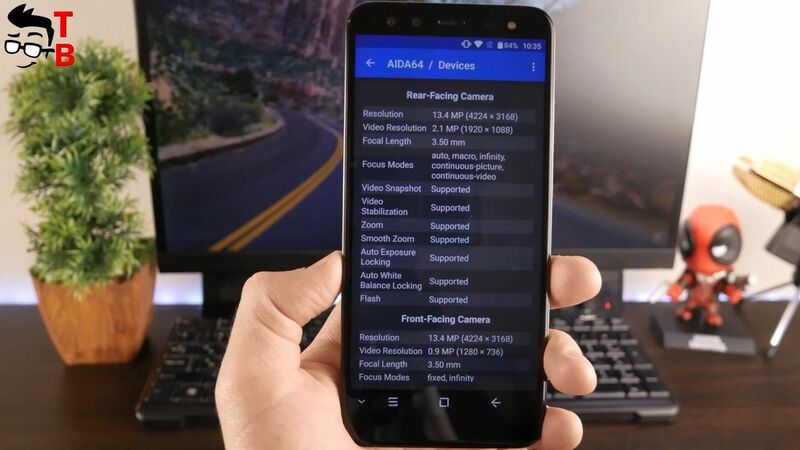 Blackview S8 runs any Android games and apps without problem.